This self-taught artist currently lives and works on Cookman Avenue, in Downtown Asbury Park, New Jersey. A native of New Jersey, he is a graduate of Montclair State College, where he earned a Bachelors degree in Industrial Arts and Design. After his graduation from college in 1977, Patrick spent two years working for interior designer Irene Kulak, who was designing residential loft conversions in Soho, NYC. It was there that Patrick developed his interest and fine art, and began to experiment with his own work. In 1979, at the age of 25, Patrick was commissioned to design and build a very popular jazz club in Montclair called Katie Gray’s. He stayed on as a partner after the completion of the project, as the house booking agent for talent, and promoted the venue. It was there that he discovered and began to learn the music business, and in the following year he started his first music company called “Patrick’s Fusion 80,” which was a concert promotion and booking agency. He then went on to become the talent buyer for the famous Club Bene’ in Sayreville, NJ, arguably the most successful music venue in New Jersey of its time. Patrick was responsible for bringing in some of the biggest names is show business to the small and intimate venue, and some of his biggest accomplishments included bringing the likes of Howard Stern, Imus, and Regis Philben into the club to make their debut live performances. On average, Club Bene’ did approximately 120 to 150 shows a year for the 20 years that Patrick was involved with the venue. Patrick started painting in the mid 1980s, purely as a hobby. In 1992 a friend introduced his work to Natalie Best (Best Portfolio), and Natalie immediately invited Patrick to participate in a show that she was curating at the Shering Plough Corporation. Other artists in that show included William Griffith, Robert W. Starkey, Judy Targan, and Kay Walkingstick. That started a slew of activity for the artist, and he participated in well over 30 shows from the years 1992 through 1998. Some of the highlights of his career include several noteworthy events. In 1994 he was selected by the Federal Government to have two of his paintings displayed at the American Embassy in Luxembourg. 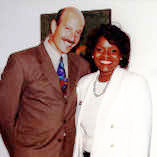 In 1996 he was invited by the Center of Emerging Arts, Miami, to have five of his paintings tour the United States. The following year, he was invited by the State of New Jersey to do a three month solo exhibition at the State House in Trenton. The following year, he was offered a Dodge Foundation Grant to participate in the Artist in Residency Program at the prestigious Vermont School. And in 1998, which was his last exhibition, Patrick was invited by music icon Sting, and tennis great John McEnroe, to participate in a fund raising art show at the McEnroe Gallery in Soho, to benefit the Rain Forest Foundation. The show raised over $30,000 for the charity. As Patrick’s career as an artist started to pick up momentum, he was running out of work space in his small Ocean Grove home, and he decided to purchase a commercial loft building in Asbury Park. In year 2000, after many months of looking at potential buildings to house both himself and his studio, he purchased a building on Cookman Avenue and retired from the music business to become a full-time artist. As life would have it, the New York Times got wind of the event, and did a story on Patrick moving to Asbury Park, and the artist’s phone started to ring. The phone calls were not inquiries regarding his artwork, but were calls pertaining to the real estate prospects in Asbury Park. Faced with the question of whether to continue on his path of creating art, or taking on a much bigger creative event, renovation of the downtown of Asbury Park, which was a boarded-up, dilapidated ghost town, he chose the later, and thus became one of the essential developers of the downtown, where he lives and works today.